Simon & Garfunkel were an American music duo consisting of singer-songwriters Paul Simon and Art Garfunkel. They formed the group Tom & Jerry in 1957 and had their first success with the minor hit "Hey, Schoolgirl". 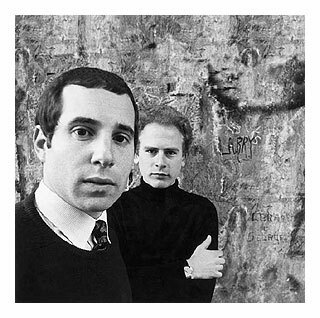 As Simon & Garfunkel, the duo rose to fame in 1965, largely on the strength of the hit single "The Sound of Silence". Their music was featured in the landmark film The Graduate (1967), propelling them further into the public consciousness. They are well known for their vocal harmonies and were among the most popular recording artists of the 1960s. Their biggest hits – including "The Sound of Silence" (1964), "I Am a Rock" (1965), "Homeward Bound" (1965), "Scarborough Fair/Canticle" (1966), "A Hazy Shade of Winter" (1966), "Mrs. Robinson" (1968), "Bridge over Troubled Water" (1969), "The Boxer" (1969), and "Cecilia" (1969) – peaked at number one in several charts. They have received several Grammy Awards and were inducted into the Rock and Roll Hall of Fame in 1990 and the Long Island Music Hall of Fame in 2007. Their sometimes rocky relationship led to their last album, Bridge over Troubled Water, being delayed several times due to artistic disagreements and as a result the duo broke up in 1970. It was their most successful album worldwide to date, peaking at number one in several countries, including the United States, and receiving 8× platinum certification from the Recording Industry Association of America, making it their highest-selling studio album in the U.S. and second-highest album overall. Simon & Garfunkel have, at times, reunited to perform and sometimes tour together. They have done so in every decade since the 1970 breakup, most famously for 1981's "The Concert in Central Park", which attracted more than 500,000 people, making it the 7th-most attended concert in the history of music. In 2004, they were ranked No. 40 on Rolling Stone's list of the 100 greatest artists of all time.